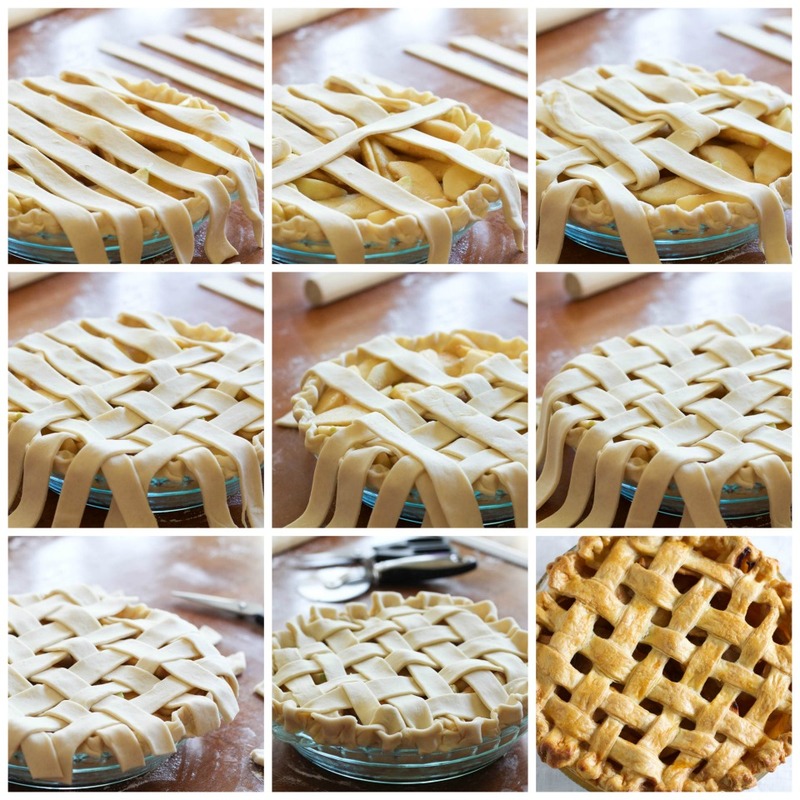 Making Lattice Top Apple Pie At home is so super satisfying and can be done by yourself or include the whole family for a bit more help! You can make this recipe with any fruit you love! Flaky pie dough is my thing, and here are all of the posts, segments, and tips I shared with viewers and readers from earlier in the blogs life! We are here at a very important juncture in the pie making lesson, we will be making an actual pie versus a galette. This is critical in the pie making lesson, an actual pie. This time it’s for Lattice Top Apple Pie! Do you have any questions about pie making? Any hesitations? 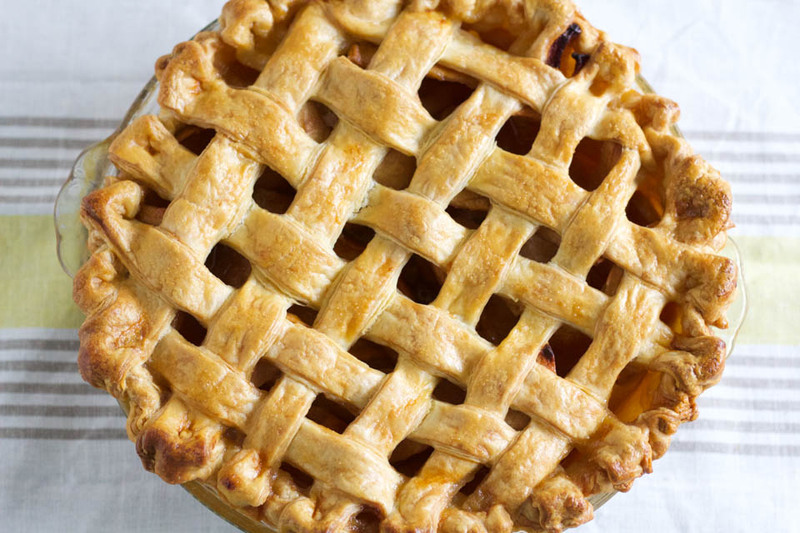 Lets Lattice Top Apple Pie now! Shout out to my fans! Such a fun moment in my career. I had a group of women ask me if I was that girl from AM Northwest TV show! It was so nice to connect with my viewers. Hi ladies! Note: Place the oven rack on the bottom for best results, and to avoid a soggy dough bottom. Combine flour, sugar, and salt in a large bowl, whisk to combine. Add 4oz cold butter cubes, and using your fingers, rub the butter into the flour mixture making pea sized chunks. Add the cold water, and very gently mix until a shaggy mixture is formed using a spatula or hands. Place the mixture on a lightly floured counter. Bring together gently, fold over a few times to incorporate all of the butter and flour. Shape into a ball, place in a large bowl, cover, and place in fridge for 15 minutes. While the dough is resting, work on the filling. For the Filling: Place the sugar, flour, and salt in a large bowl, whisk to combine. Add apples and juice, combine well. Place in fridge until dough is ready. Remove the dough from the fridge, place on lightly floured counter. Roll out about 1/2 inch thick. Fold into thirds, then roll out into a circle. Place back in bowl, cover and place in fridge for 15 minutes. Place a rolling pin on the dough and roll it onto the pin. Place over pan, and lay dough gently into the pie pan. Place pie pan on parchment lined sheet pan. 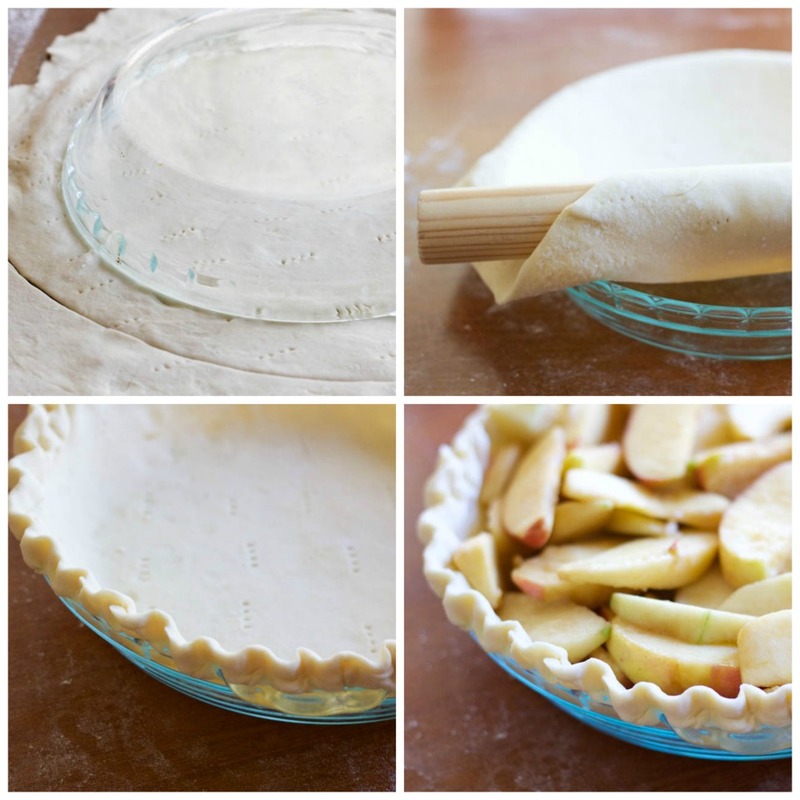 Place the apple filling in the center of pie dough and top with 2oz cubed butter peices. Crimping: use two fingers on one hand, and one finger on the opposite hand to press and crimp the dough. Go all the way around until the whole pie dough is crimped. Using a pastry brush, brush on egg wash.
Place pie in the freezer for a minimum of 30 minutes. Remove from freezer, place in oven, and bake for 45 minutes. Reduce oven temperature to 350, bake for 40 minutes, or until golden brown. Roll out dough about 1/4-1/2 inch thick. Cut 12- 1 inch pieces using a knife. Starting in the center, remove every other strip of dough, and place over the top of the pie pan, about 1/2 an inch apart. Gently fold every other strip back on itself, a bit past the center. Take the longest strip remaining, and lay it perpendicular to the first layer, right across the center. Lay every other strip back down, and place every other strip back over the top. Pull up, place down, and repeat. Lay another strip next to the center one, and fold every other strip down and over again. Repeat until the first half is covered. Repeat until the other half is covered. That’s a gorgeous pie! I love lattice top pies. Makes it look so special. What a beautiful pie! I love making lattice designs in pie crust; it gives it such a pretty finish! 🙂 Love the step by step photo’s too! Super helpful if you’ve never done one before! Thank you for sharing this! Holy moly that is a beautiful pie. I pinned it so I can reference it this pie season. Thank YOU!!!! So sweet :). 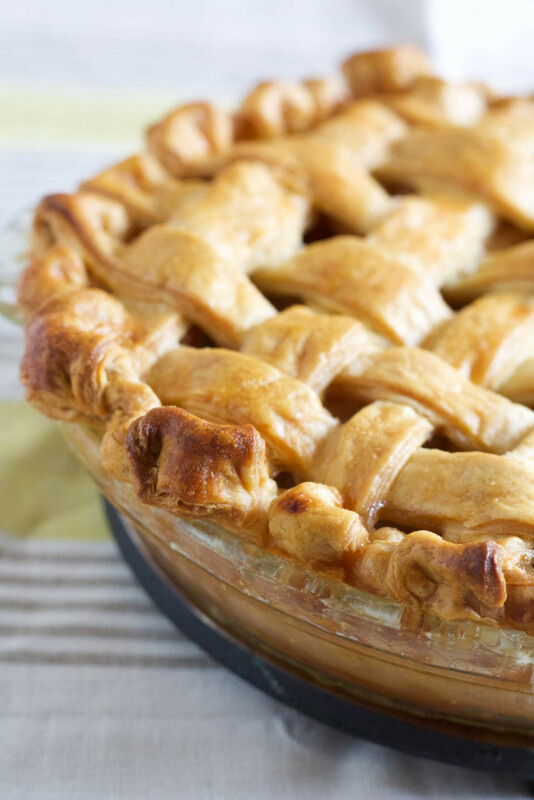 I’ve never made a lattice pie before so I sure do appreciate the step by step by instructions – but, I have to say, you pie crust looks incredible! Wow – such a fabulous texture! Thank you so much! I love making a flaky crust, it’s my favorite! This is so pretty! I love lattice crusts, but I’m too chicken to do one myself as I’m clumsy and convinced it would go wrong!! Thank you! Oh geez, it would be perfect if you did it, I just know it :). Thank you, it will be perfect! You got this! I’m finally going to conquer my fear of lattice pastry and give this a try! Awe, thank you so much! I really appreciate your kind words, and love that I can help:). I love making pie, but have never tried a lattice top. Your pie is beautiful, it looks perfect. I love that you had a little celeb moment. You’re awesome and I would watch you on TV every day because you’re so stinkin’ adorable to boot. xoxoxo thank you sweetest lady! Oh geeze! Totally need a rolling pin for this for sure. In all the hundreds of pies I’ve baked, I have never done a lattice top. I MUST try it! It is a must try at least once! Thank you so much, Lily! That is so sweet of you :). How fun to be recognized for all the work and labor of love that you put into your blog. 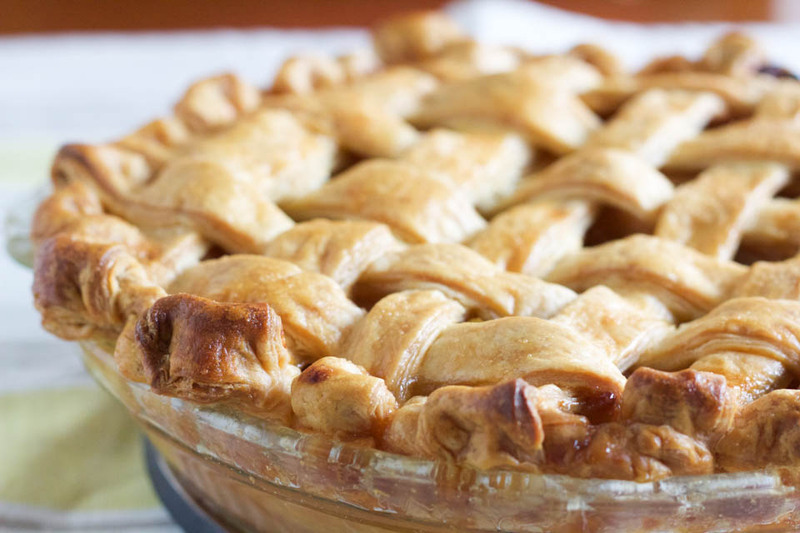 Ok…now I’m craving pies with beautiful and perfect texture crust like yours. Really beautiful and fantastic step-by-steps. Pinning! cristina recently posted..Kiwi Berries – Small, Edible Skin, and Fuzz-Free!